Who likes to color? I love coloring because it is so relaxing to me! These cute Valentine's Cards are perfect for your girlfriends. And I absolutely love Galentine's Day. 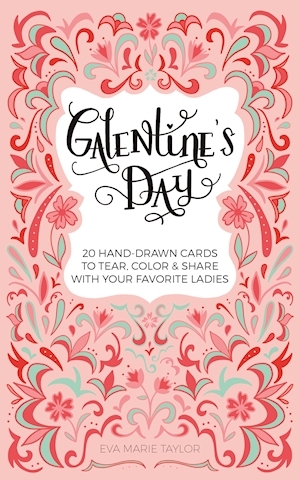 There is plenty of space on the back of these cards to write a message to your Gal Friends. I can't wait to slip these into my co-workers Valentine's Boxes at school. I am really enjoying coloring them for each friend I plan to give them too. This is a new release book from Ulysses Press. 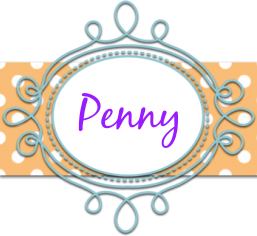 Head over and check it out along with many other books they have available. 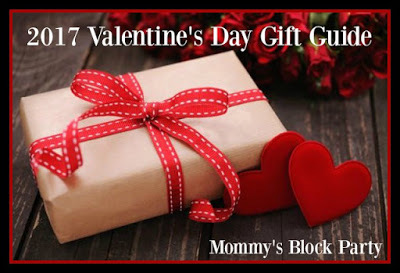 What’s Galentine’s Day? Only the best day of the year! Every February 13th, women leave their significant others at home and spend the day admiring each other. It’s all about ladies celebrating ladies. Perfect for best friends, mothers, coworkers, and more, these cards offer women the chance to show how much they appreciate and love every woman in their life. Each beautiful card has a black-and-white line drawing set on a matte cardstock—ready for you to tear out, color, and share. Along with whimsical designs, they include playful messages like, “You’re the chicken to my waffle;” quirky compliments such as, “You are a brave, radiant unicorn;” and inspiring notes like, “You’re crushing it!” Coined by popular TV character Leslie Knope of NBC’s Parks and Recreation, Galentine’s Day has become a widespread holiday for celebrating the women in your life on February 13th—or any day of the year. How cute is this one that I'm working on? The back with plenty of space for special notes. 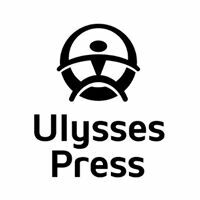 Be sure to check out the Ulysses Press webpage and get your own Galentine's Day cards. You can also connect with them on Facebook, Twitter and Instagram. 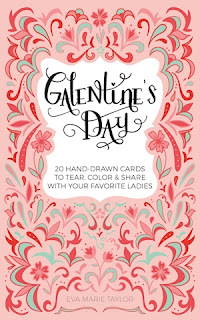 Special thanks to my friends at Ulysses Press for allowing me to share Galentine's Day with all of you! I hope you enjoy these as much as I am!